The number of Internet-connected devices is nowhere near its ceiling. There already are more than 12 billion IoT devices, which may seem trivial in years to come. The number of connected devices will grow to more than 45 billion by 2023, according to a new forecast by Frost & Sullivan. That’s an annual growth rate of 20%. 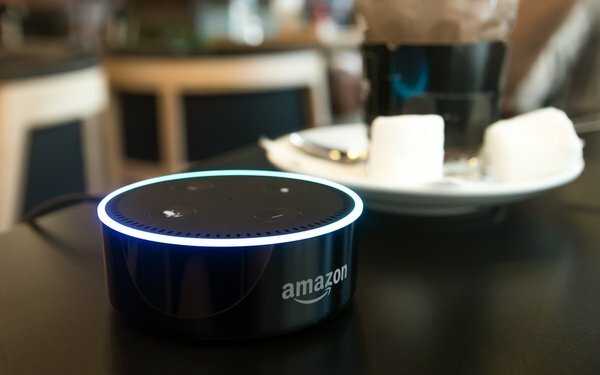 In the consumer marketplace, Amazon, Apple, Google, Samsung and Microsoft all have intensified efforts to dominate the personal assistance rate to control homes and the profitable consumer IoT and artificial intelligence sectors, states the report, which suggests that future consolidation will be essential. That consolidation is likely to be around large platforms that provide building blocks with smaller vendors developing applications. “While it is impossible to create standards across all the industries that are part of IoT, there is need for standardization around how data is collected, stored and communicated across different industries and applications,” stated Dilip Sarangan, research director at Frost & Sullivan. At 12 billion connected devices, we’re still in the early days of the Internet of Things. 3 comments about "45 Billion Connected Devices Projected". R MARK REASBECK from www.USAonly.US , August 29, 2017 at 9:45 p.m.
Use of artificial intelligence to transform smart devices so that they react to changes in the environment without human intervention. Keep developing more things to eliminate humans, that will include the jobs needed for people to waste their money on these billions of dollars of "Convenience"
Dave Meeker from Isobar, August 29, 2017 at 10:57 p.m.
Mark, I have to say that we probably agree that AR applications will become more commonplace than VR, especially for daily-use or other apps that have real utility. VR is great for what it can provide - immersion that leads to an ability to create deep empathy, extended storytelling and situations when we really do want to give an experience where we take users away to a different place and/or time. That’s not always practical and that is why we think AR has such promise. We believe in the power of VR and understand when it can be used to provide incredible experiences for our clients - whether we are putting together a branded entertainment concept, producing a music video in VR, creating experiences that help people empathize with others that have medical conditions or as a means to train a clients’ workforce. We have heard from clients and others in the industry that there can be apprehension towards investing heavily in VR experiences ahead of consumer adoption or widespread acceptance of VR hardware unless there is a way to better understand the impact VR is having on their audience and there are methods to quantify the value of virtual reality experiences. This was the genesis of the analytics platform for us - and we didn’t want to just measure behavior. We felt to make this a killer app and to solve that problem of measurement, it needed to also have a heavy biometric component that would allow us to gauge emotion and tie it back to the experience. That’s what we’ve created and it really pretty cool to see all of it come together in a way that doesn’t just sound good, but uses real science to create insights that will lead to the design of better experiences and a data-driven means to show how VR can impact users. Chuck Martin from Chuck Martin replied, August 30, 2017 at 10:33 a.m. Humans still will be needed to essentially program the technology, Mark.